Ever felt the need to protect your secret bookmark sites and sensitive webpages in Firefox? 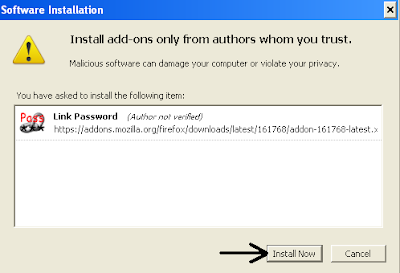 If the answer is yes, then there is a wonderful add-on developed by FigaroSwe named Link Password which fulfills your need to protect links from others on your favorite Firefox web-browser. Of the many web-pages that you have bookmarked, there may be some ones that you do not like others to be opened without your permission. But unfortunately bookmarks in a browser cannot to hidden, which leaves them free to be opened by anyone who has access to the computer or sharing the PC. 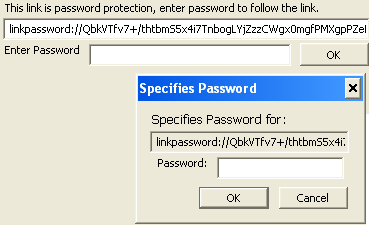 This is where Link Password add-on is really specific and the right solution to your problem. 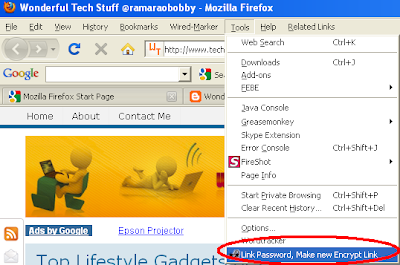 Using Link Password you can password protect your desired bookmarks and links from non-authorized users. 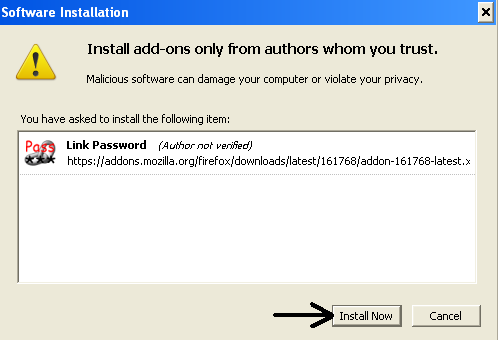 First, install the add-on and restart the browser for the changes to take effect. When prompted to restore your tabs and windows when it restarts, just click Restart to restore your tabs and windows accordingly. After your browser is restarted you’re all set to use the newly installed add-on by browsing directly to Bookmarks. 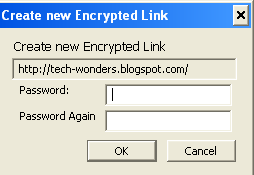 Just pick any of your desired bookmarked links or even the whole folder you want to encrypt and right click on it which will show either ‘Encrypt this link’ or ‘Encrypt all links in this folder’ respectively. or directly from the address bar. Clicking on either of the options, will prompt you to enter a new password to be used to encrypt the selected link or the folder securely using AES algorithm. The password need to be memorized as you’ll need to key in the same password to decrypt and open the links whenever you wanted at a later stage. Furthermore, this wonderful add-on uses its own protocol cryptlink:// for easy handling. Another additional feature included with this add-on is the ability to change the url/name of protected links to completely eliminate the potential guessing of the web-links. All-in-all Link Password is a very useful Firefox add-on to password-protect your secret sites or sensitive websites from others without you to remember them manually. Hey shabbu, thanks for dropping at my site and submitting your thoughtful comment. Yeah, I agree with you…Privacy is of prime importance as we may often don't like anyone knowing the sites we're browsing. Very useful post Bobby as privacy is of prime importance.I will try it as i am a FF user.